Need help preparing to study abroad? 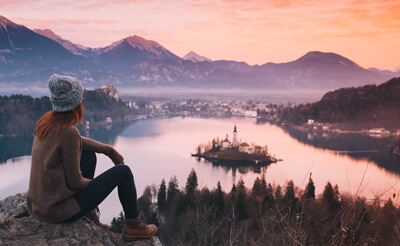 Check out our articles page for tips and advice on studying abroad, including how to choose the right country, university and program. Our ''Student Stories'' section is also filled with study abroad insight from international students from around the world who have studied abroad themselves and are eager to share their stories. So, what are you waiting for? Our study abroad articles can help you turn your dream of taking your studies overseas into a reality, so take a look! Why Study Fashion Design Abroad? Are you recognized by your friends and family as being a trendsetter? Do your style choices often get noticed? Maybe it’s time to take your look abroad and show the world your own unique fashion design vision. Are you curious to think more about and explore the reasons that you want to study abroad? Would it help to learn about why other students want to study abroad? We've asked Angelo from the Philippines who is currently living in Sweden and considering studying a Master's degree abroad to share his reasons why he would like to study abroad. Are you considering studying abroad in Germany but looking for some advice from a student who has done it before? Look no further! We spoke with Johan who studied abroad at Aachen University in Germany. He shares his advice and the tips he wish he knew before studying in Germany. Many students think doing an internship and studying at the same time means saying goodbye to a social life. With the right internship, you could have fun while doing both! Wondering how to start? Read some advice written by educations.com writers who have done an internship abroad. The application process for university admission is different from country to country and there is no perfect formula for obtaining admission to your desired university. However, there are some general rules that you should follow and tips that can help you gain admission. If English is not your native language and you’d like to study a degree in English abroad, you’ll have to take an International English Language Test or IELTS test. We’ve prepared some tips and advice to help you get totally prepared for the test and get your desired score. There are many factors that make some countries better study abroad destinations than others for Iranian students. The cost of university, living expenses, local language, ranking of university, visa access and the possibility of recruitment and immigration are some considerations for Iranian students when choosing their study abroad destination. Many Iranian students would like to study abroad but some of them aren’t sure how to do it or where to start. If you’re from Iran and interested in studying abroad, educations.com has some advice to help you in the process of finding your ideal international program. Student visas have been a big issue and a stressful process for Iranians in recent years. A university's career services are often under utilized by their students. Here are the top 5 reasons why you should take advantage of this free resource while you have the chance! Have you ever wondered why students choose to do their master’s abroad instead of in their own country? If you want to know what benefits you will gain from doing a master’s degree abroad, take a look at educations.com’s list of top six reasons. Don't Let These 10 Study Abroad Myths Hold You Back! Let’s be honest - the idea of studying abroad is as daunting as it is inspiring, but the reality may not be so scary. Here are 10 study abroad myths that may be holding you back. Are you considering studying abroad but are vaguely worried that you might end up homeless? Relax! Every city is different, and some may have housing shortages making a roof over your head a little bit more challenging, but international students can always find a way. Read about five places you can start to look for housing as an international student. Should I Study Abroad if I’ve Never Left My Country Before? For many students, studying abroad for university might be their first opportunity to leave their home country. 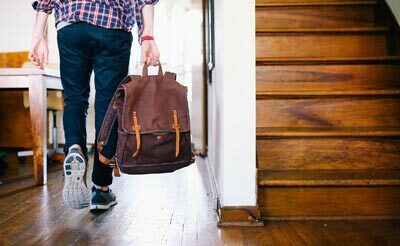 However, it can feel really intimidating to commit to a semester, year, or full degree program when you’re unsure whether you even enjoy living abroad. Here are five challenges you’ll probably face if it’s your first time abroad, and five reasons why you should still take the plunge! If you’re considering studying abroad but worry that it might be more difficult to make friends, fear not! In many ways, making friends as an international student is actually easier! Here are five tips to stay social and make life-long friends during study abroad. Studying abroad is a big step. Why do so many students leave all of the comforts of home to attend a university abroad? Here is educations.com's list of the top ten reasons why you should study abroad. .
Are you considering studying abroad but worried you will lose touch with the people you care about most? With a bit of planning and the help of technology, it’s easier than ever to stay-up-to-date and nurture your relationships back home. Read five tips real international students have used with success. 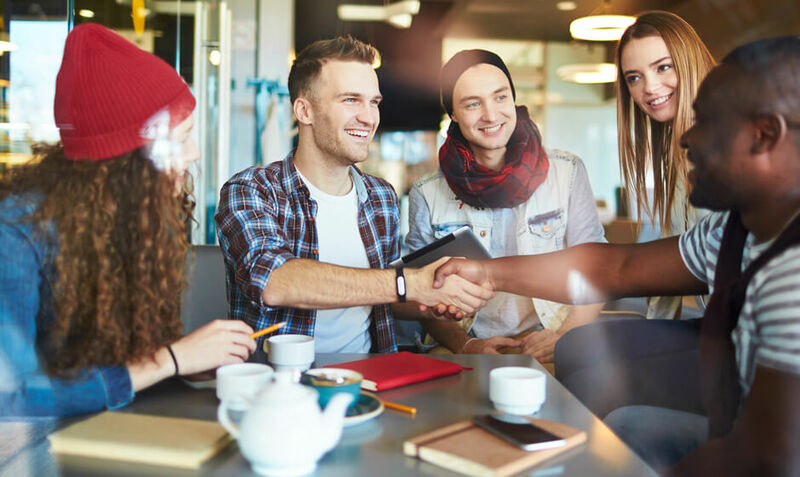 Get the facts about the abolition and replacement of Australia's 457 visa and how it will affect you as an international student. How do you convince your parents to let you run away to a foreign country? We've gathered some tips on how to best to tell your parents, "I want to study abroad." Emre Cakir, a former international student adviser at Bogazici University in Istanbul, offers advice for international students to have the best study abroad experience possible. Are you worried about how a year "off" of your degree studying abroad will affect your career? Don't be! We've outlined a few of the ways that studying abroad will make you a savvier professional based on the real-world experience of international students.